Balakan (Azerbaijani: Balakən) is a rayon of northwestern Azerbaijan, located between Georgia and Russia. It borders Georgia to south and west and Dagestan of Russia to east and north. There is an Azerbaijan-Georgia border crossing at Postbina in the rayon that is open to both local residents and foreigners. Archaeological finds including many historical monuments and kurgans in the region speak of early human habitation. 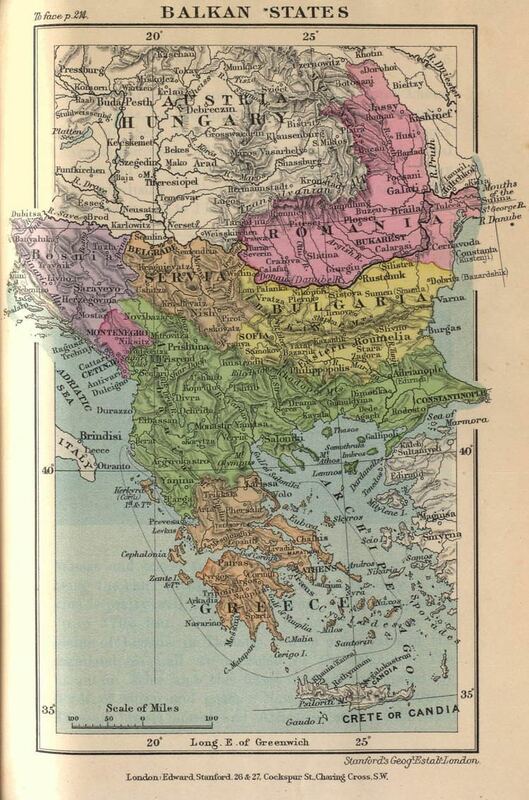 Balakan was a part of Caucasian Albania. The Èrs also inhabited this region along with the rest of north-west Azerbaijan. A Greek writer of the time who authored books on the battle between the Roman troops and Caucasian Albanians on the bank of Alazani (Qanıx) river in 65 AD., described the locals as calm, prideful and full of courage. Etymology of names such as "Getovlar" (similar to Hettax), Hunbulanchay (similar to Huns), Ingiloy (similar to Gellah) and others confirm habitation of the region by early nomadic Turkic tribes. In the 7th century Balakan was invaded by Arabs and Balakən settlement was destroyed. After the Arab rule was overthrown in 9th–10th centuries, Balakan established its political and economic links with Shaki. Both provinces developed sericulture as their primary industry. During the Great Patriotic War, 6,882 residents of Balakan fought Nazi Germany and 2,315 of them died on the front lines. During Nagorno-Karabakh War, Balakan lost 152 residents who fought in Karabakh. Balakan rayon was created on 8 August 1930. The settlement Balakən was assigned to be the administrative center of the rayon. It later grew to become a city type settlement in 1954 and received a status of a city in 1968. In 1963, the rayon was abolished and joined with Zaqatala Rayon. In 1965, it was again re-established as an independent rayon. Among the historical monuments are the 9th century Albanian church 18 km away from the administrative center of Balakan, Peri castle dating to 7th–8th centuries in Qullar village, 17th-century mosque with a 45-meter minaret in Balakən city, Nokho Cave in the Qubek gorge pertaining to the Iron Age, ruins and pilgrimage site from the 5th–8th centuries located 2 km west of Mahamalar village, 1st–2nd century BC necropolis 1 km north of the same village, mosque built in 1780 and an underground water storage facilities from the 18th century in Qullar village, a 19th-century fortress and 18th-century mosque in Mahamalar, a 14th-century mosque in Katex village, 17th-century four-edged castle and two tombs, a 14th-century mausoleum in Tülü village, mosque built in 1910 in İtitala village, 14th-century temple in Hənifə village, 16th-century mosque in Xalatala and temples in Mazımçay, ruins of a settlement from Middle Ages on Maklakan mountain. 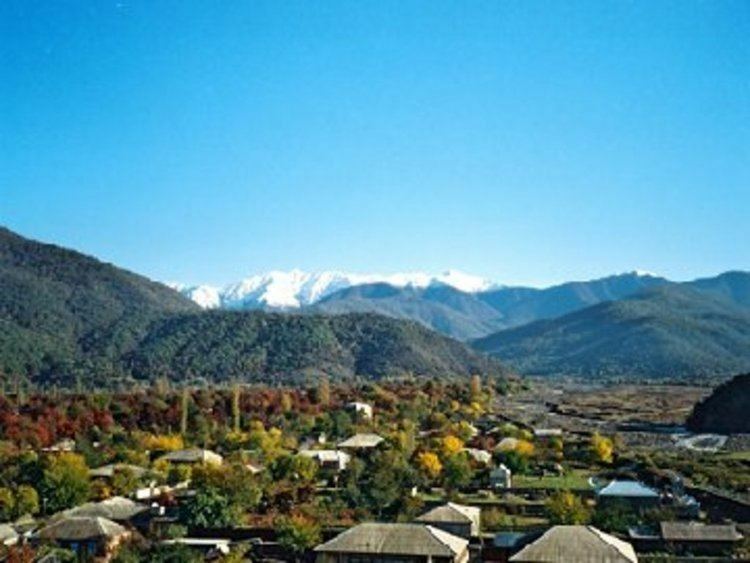 The rayon is situated at the foothills of Greater Caucasus and is very rich with flora and fauna. Balakan mountains makes up the big part of Zakatala State Reserve. The Katex waterfalls is located in the reserve. Due to existence of many mountains in the rayon, Balakan is rich with many rivers. The mountainous part of rayon is cold, the temperature in lower parts is mild. Average annual humidity reaches 41%, average monthly temperature is 13 °C (55 °F). The northern part of rayon is enriched with vegetation, among them hornbeam, alder, oak, chestnut, walnut, acacia trees, as well as raspberry, rose hip and medlar. There are over 30 plants used for medical treatment purposes. Balakan region is considered one of the most resourceful regions of Azerbaijan by its economic potential, natural resources and cultural heritage. The economy of rayon is based on agrarian sector. Main segments of the agriculture are tobacco growing, horticulture, sericulture and corn cultivation. Additionally, cattlebreeding, wheat growing, winemaking and fishery are widely practised. There are 123 agricultural farming businesses in Balakan rayon. The 1970-1980s saw rapid economic reforms due to construction of Baku-Balakan Railway which connected the region with capital Baku and industrial Absheron Peninsula. There are 48 secondary schools with 16,872 (2007 census) students and 1,629 teachers and 24 kindergartens in the region. Additionally, there are 1 stadium, 29 sports facilities and 20 sports complexes. There are 6 hospitals, tuberculosis treatment center and family planning centers with 126 doctors and 497 nurses. The capital city has one central library which has 49 branches throughout the rayon. Over 370 students study at 7 musical schools. There is one city of Balakən and 59 villages in the rayon. According to 2010 census, Balakan rayon has 89,406 residents, out of which 10,200 (11%) live in urban and 79,206 (88,6%) live in rural areas. Men make up 48.2%, women – 51.8% of the population. The population density is 95.7 people per 1 km2. In 2010, there were 1,238 newborns and 510 deaths in rayon. The ethnic composition of the rayon is very rich. Representatives of 27 ethnicities live in Balakan rayon. The largest group, Azeris make up 88.4% of the population (61,170 people living throughout the region), Avars – 18,4% (25,370 people living mainly in Qabaqçöl, Mahamalar and Mazımçay villages), Ingiloys (Muslim Georgians) – 2.4% (2,145 people living mainly in İtitala village) and other ethnicities such as Georgians (23 residents), Lezgins (223 residents), Russians (138 residents), Laks (23 residents), Persians (226 residents), Tatars (27 residents), Tsakhurs (13 residents), Turks (11 residents), Ukrainians (6 residents), Armenians (3 residents) and Talysh (1 resident) – 1.49%. 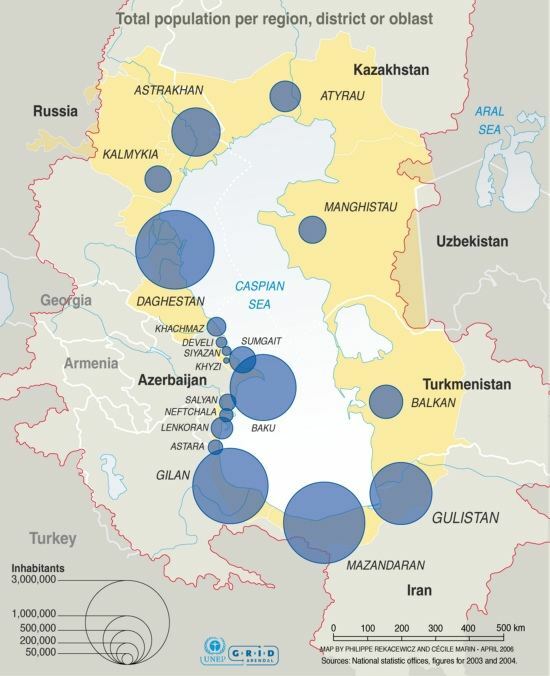 The majority of the population speak the Azerbaijan language with a minority of Avar and Georgian speakers. About 95% of the population of the Balakan rayon is Muslim.